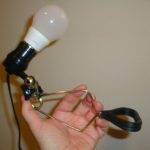 Last month I started to write a series of 14 quality Blog Beast tutorials on this blog expecting to rank very well in search engines with this 11 years old domain name pantika.com. I use the Yoast WordPress SEO plugin and as I got a green light SEO score for all the posts, I expected them to be high ranking blog posts in Google. Unfortunately, WordPress took a beating by my other blog the “Blog Beast”! This is the strategy I used. As the tutorials were quite long and with lots of screenshots I thought it would be easier to write them on my WordPress blog, as I can save drafts, and then post an extract of each post on the Blog Beast with a link back to my WordPress blog pantika.com. 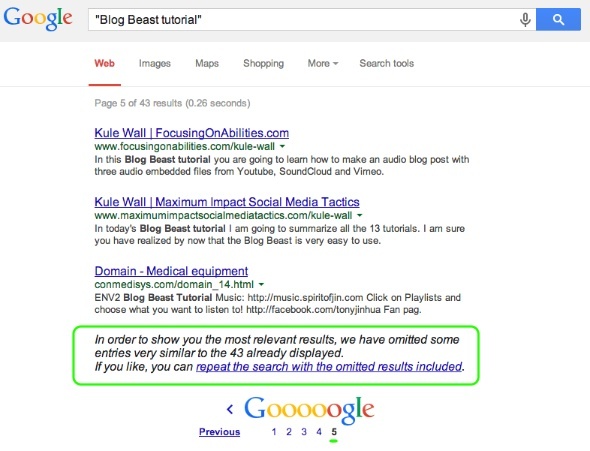 – Wrote blog post on WordPress blog, perfectly optimized for keyword “Blog Beast tutorial”. 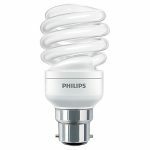 – WordPress pinged the post. 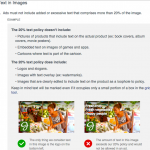 – WordPress posted update on FaceBook. 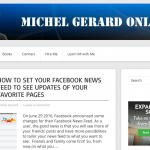 – OnlyWire posted to 30 social media sites. 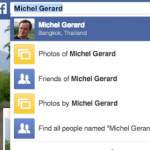 – Copied extract to Blog Beast with a few images. 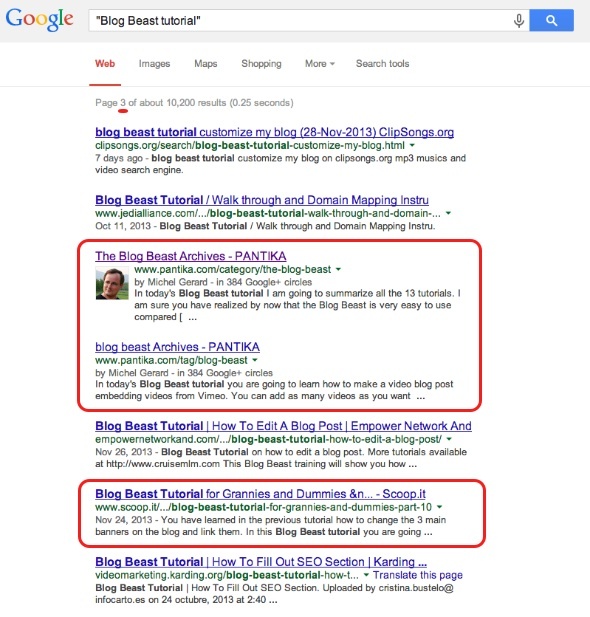 I did not look at the keyword density, or optimized the text, and just put “Blog Beast tutorial” as a keyword tag. – Linked back to the post in the WordPress blog that has the original and full article. – Pinged new post with PinGoat.net. – Shared to Twitter, FaceBook & LinkedIn via Pantika.us, my link shortener service. – Posted blog post extract with link back in www.imfaceplate.com/gmichel. – Used Sokule to further advertise. Obviously I did more promotion of the Blog Beast posts than the WordPress posts. But as the original posts were on the WP blog, and Blog Beast links to it, I was expecting to get a boost and that Google chooses the original post. The results are different and this is the high ranking blog. For the chosen keyword “Blog Beast tutorial”, this is what I get. 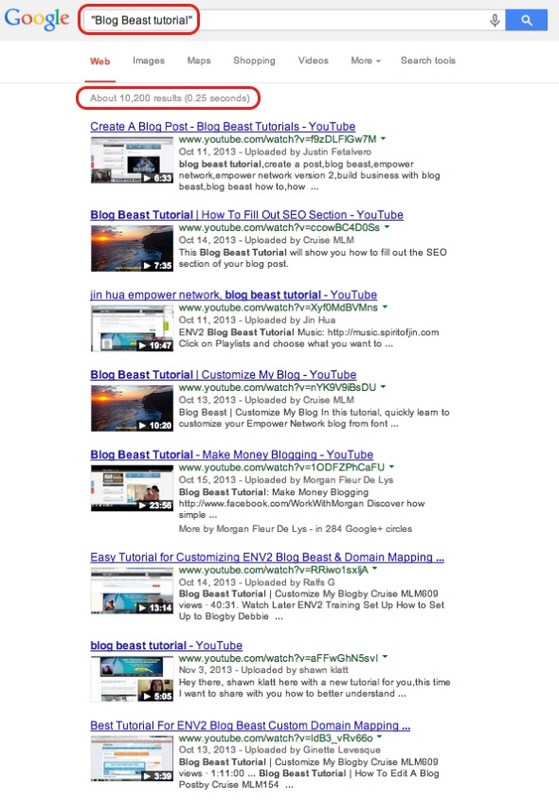 On the first page of Google, a Blog Beast result shows after a series of Youtube videos. Youtube videos rank very well and better than blog posts nowadays and with all the competition, I still get position #10. 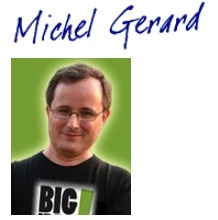 What is also remarkable is that I attached a new domain to the Blog Beast, which is www.MichelGerardOnline.com, and the domain is about two months old. Have you heard that aged domains rank better? Think again! 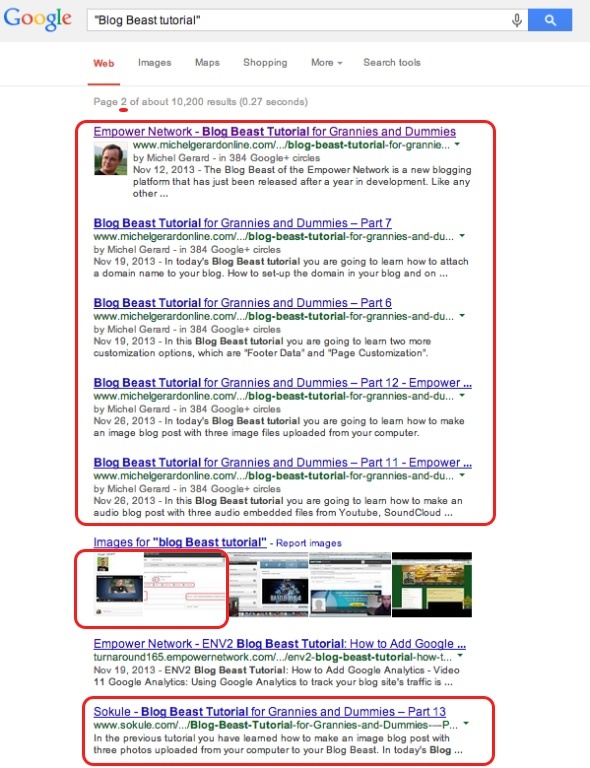 The Blog Beast doesn’t even contain the original posts… I believe that because of the high authority domain the Blog Beast is on (empowernetwork.com), with an Alexa rank of 238 and PR 4, posts rank better and faster than anything else. The Blog Beast got position #11, #12, #13, #14 & #15. Position #16 being 2 images on pantika.com, that are embedded in the Blog Beast. Position #17 is another Blog Beast. And position #18 is mine on Sokule.com. Finally pantika.com shows in position #23 & #24, but they are not the pages I expected to rank… These 2 results are for the category and tag pages. Position #26 is a Scoop.it entry for one blog post. No results for me on page 4 and page 5 is the last page, all other results are omitted. This shows how powerful the Blog Beast is. 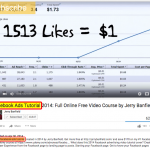 With these results I am going to change my strategy and post completely different content on the 2 blogs. With duplicate content on the 2 blogs, the Blog Beast wins, with different content, both can win, but with the Blog Beast being still ahead in the ranking much easily. 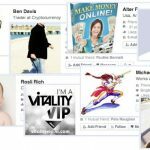 Posted in: Blogging, Empower Network, Internet Marketing, Seo ⋅ Tagged: blog beast, High Ranking Blog, Seo, Viral Blogging System, Yoast WordPress SEO.